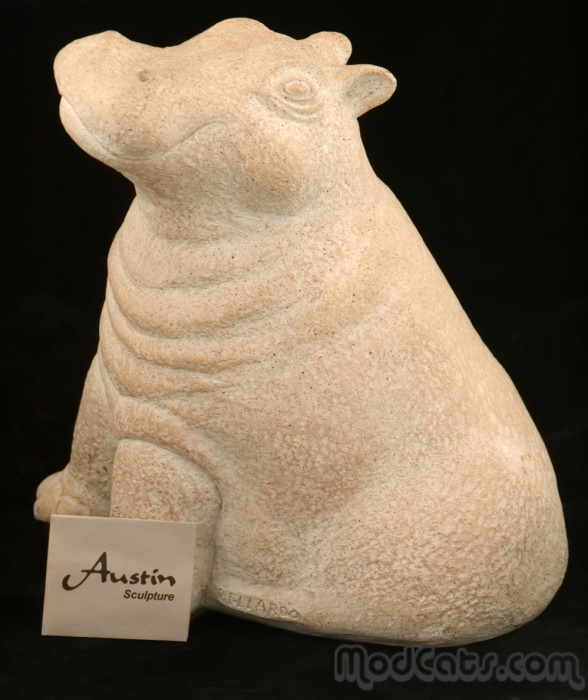 Largish hippo sculpture by Paul Bellardo for Austin Productions 1980. One of three hippo designs - this is probably the mother hippo? The original card carrying the artist bio (first Louis Comfort Tiffany Foundation Scholarship, Clarissa Bartlet Scholarship with pieces in the permanent collections of the Boston Museum of Fine Arts and Chrysler Art Museum) is held in a small plastic envelope under the base.